Supportive Services for Veteran Families (SSVF) helps and supports low-income veterans who are homeless, at risk of homelessness and/or need help transitioning to permanent housing. The new program aims to prevent homelessness and ensure housing stability among our community's veterans and their families. 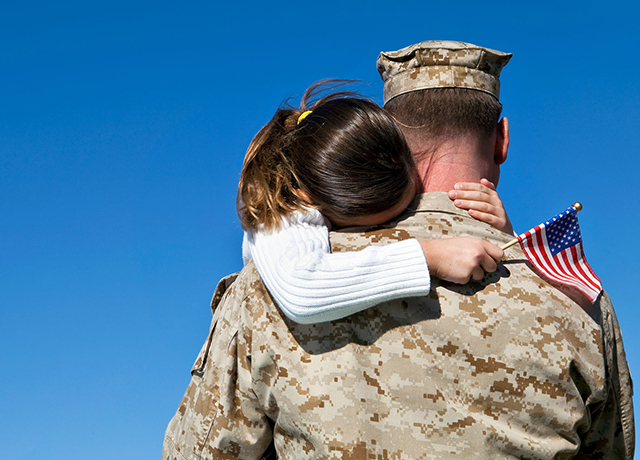 In addition, Supportive Services for Veteran Families (SSVF) provides temporary financial assistance. Be a veteran or a member of a family in which the head of the household or his/her spouse is a veteran. The veteran must have a discharge other than dishonorable. Have an income that is below 50% of the area's median income. Be in permanent housing or scheduled to move into permanent housing within 90 days. Need help? We're here for our heroes. To make a referral or general program inquiry, please call or email full name, organization (if applicable), best phone contact, and information requested to one of the locations below. Funding for this program is provided by the U.S. Department of Veterans Affairs Supportive Services for Veteran Families grant. This program is accredited by the Commission on Accreditation of Rehabilitation Facilities (CARF).